Fortress Of Freedom Board :: View topic - Proponents Of Proportional Voting Have Been Heard! 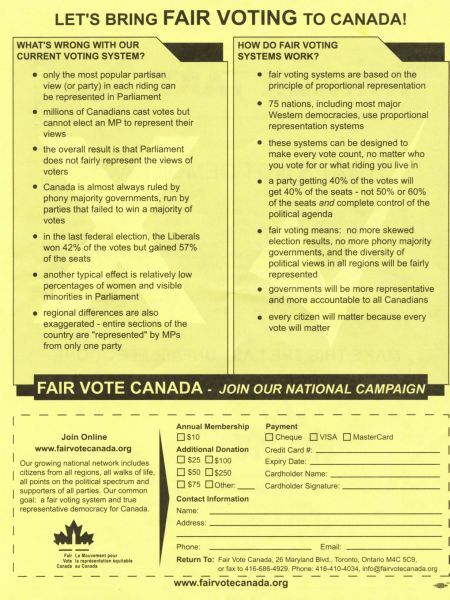 Proponents Of Proportional Voting Have Been Heard! 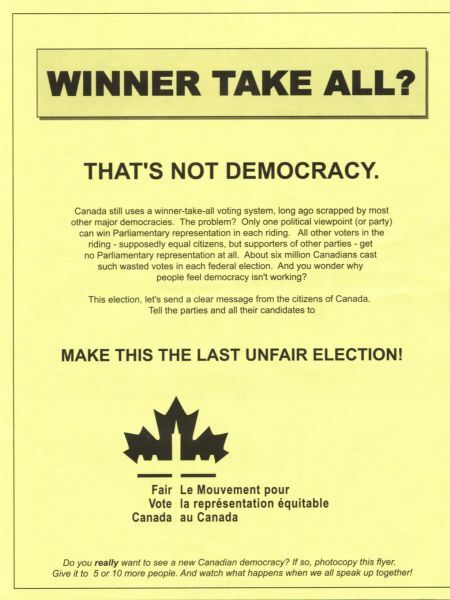 Posted: Tue Oct 09, 2007 9:58 pm Post subject: Proponents Of Proportional Voting Have Been Heard! While I was at the Gay Pride festivities, I past by a girl handing out flyers for a group promoting a change in the voting system. They are interested in proportional voting. But rather than give you my interpretation of what they are saying - I will show you a picture of the person handing out the flyers, the audio of her argument; and the flyers themselves with their web site. I like this group as it really is "home grown" and looking for a voice - here you go! CLICK HERE FOR THE AUDIO OF THE FAIR VOTE "PLEA". 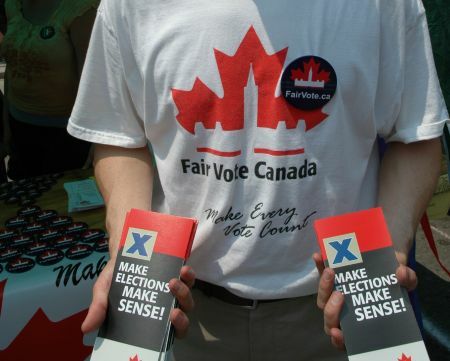 Toronto, Canada - At the Dyke March this year (part of Pride Week held every year in Toronto celebrating gay/lesbian lifestyles) was the familiar booth of a group called "Fair Vote Canada". I met this organization last year and stopped by to see what progress had been made. The group is interested in proportional voting. 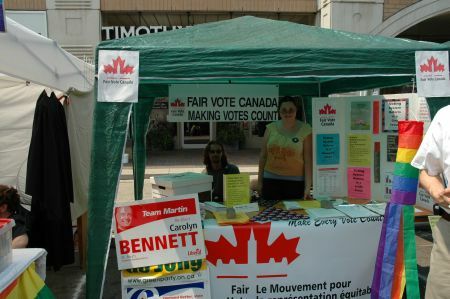 The tent, displays and members of Fair Vote Canada. They stated that there were some referendums about this in the west but fell shy of the number for implementation. These people don't seem to be going anywhere soon, so we will continue to see what happens to this "grass roots" organization. 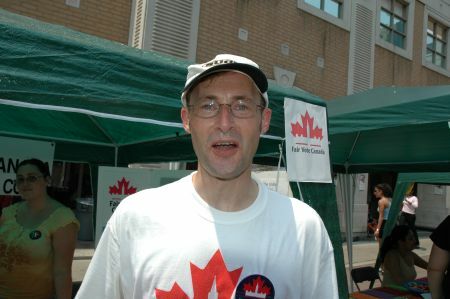 One of the members of "Fair Vote Canada". I will update the results of the referendum, but I feel they have already won. What anyone would say was an inconsequential group of voices a few years ago, they have certainly made their voices heard. A Fortress Of Freedom success story!